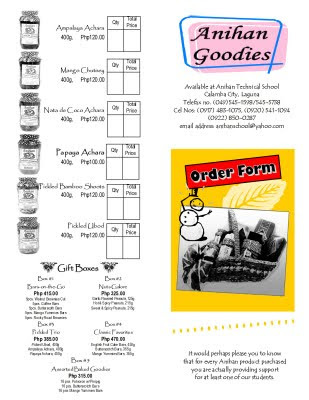 Christmas is fast approaching and we hope you will consider Anihan Goodies once more for your Christmas giveaways! 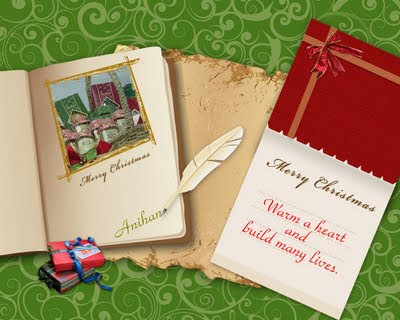 This time, with every Anihan product you purchase, you won't just build a life, you'll help build many lives, considering the major damage Laguna is suffering from the recent typhoon. Wouldn't that be an extra special gift to your loved ones and friends? But whatever livelihood or similar project you may choose to patronize, we are one with you in making sure that this Christmas season, our suffering fellow Filipinos experience the warmth of our solidarity!